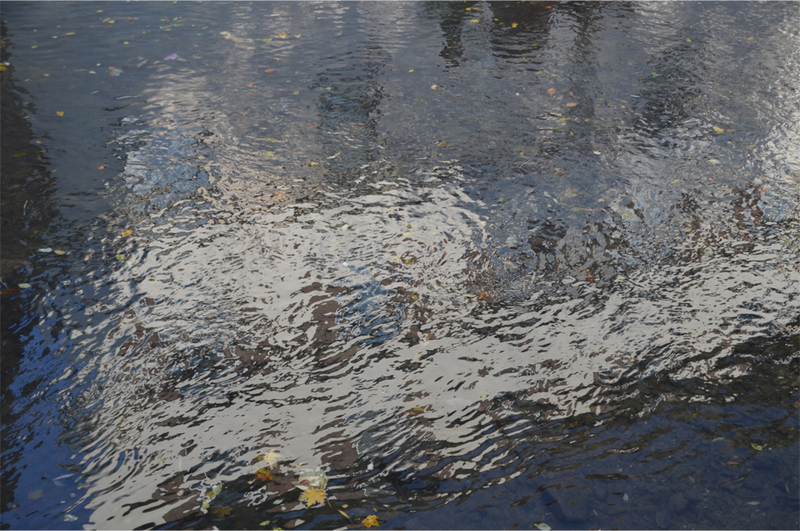 Seconds later a blur of white and grey brushed past, no more than a centimetre away from a collision. He shouted into the distance as passersby looked on in bemusement, and I couldn’t help but shrug at the comical banality of the scene. I had nearly been hit by a raging old man on a bicycle. 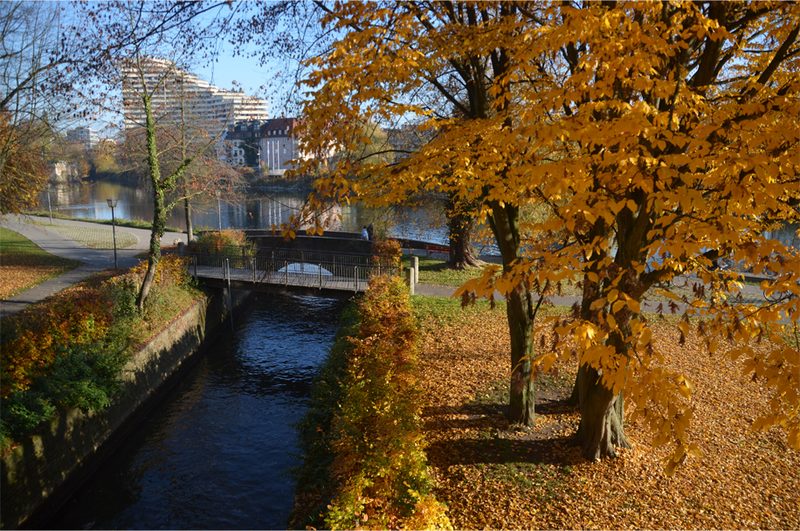 Devoid of most vehicular traffic, the Fischerviertel, or “Fishermen’s Quarter”, is a gorgeous area for an afternoon stroll. 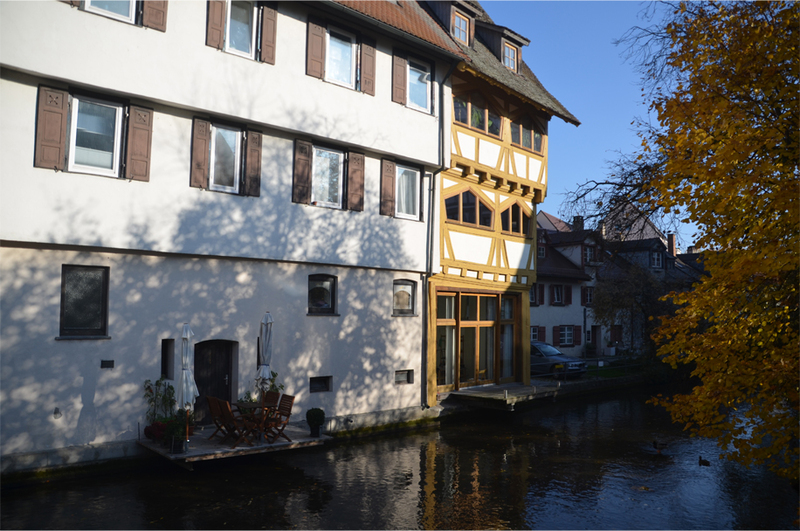 Two babbling streams wind through the district, turning a sizeable water wheel while coursing past a beguiling combination of drooping willows and half-timbered houses. 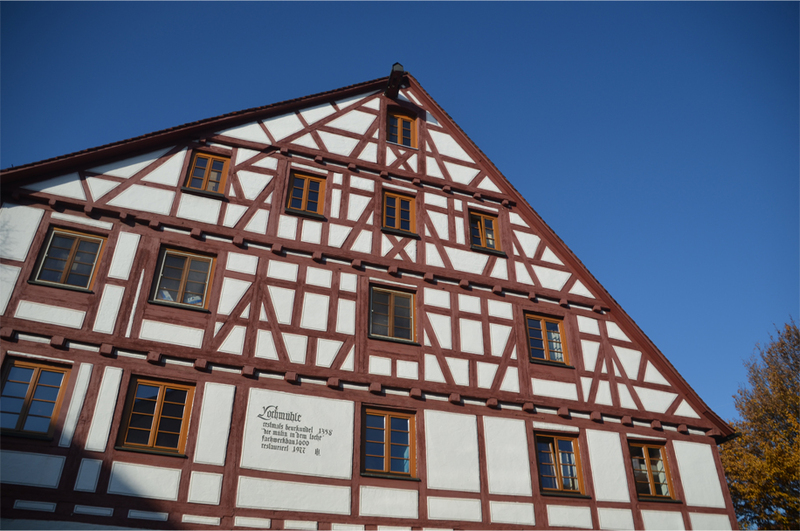 The most famous of these is the “Schiefes Haus” whose oldest portions date from 1406; it’s also the current record-holder for the “world’s most crooked hotel”. 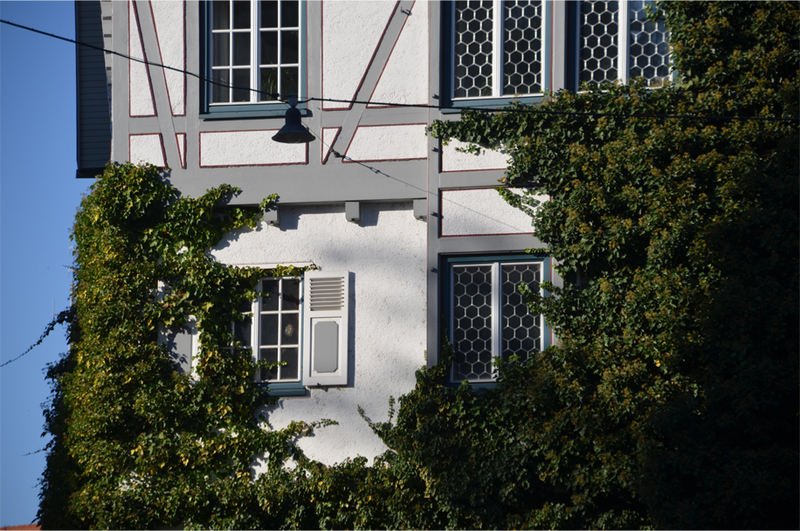 I found that Ulm was unexpectedly beautiful; parts of the city centre were a comfortable coexistence of older structures and contemporary civic buildings. 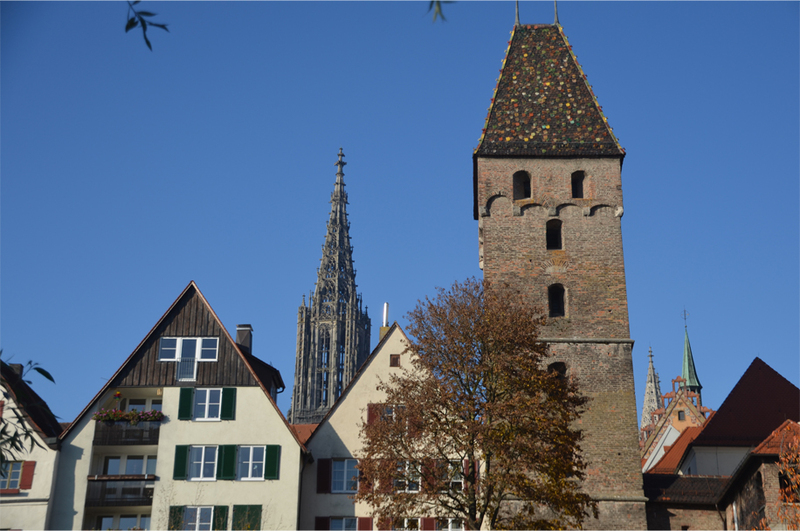 Close to the Münster, Ulm’s monumental Gothic church, stood the gleaming Stadthaus, bearing all the trademarks of Richard Meier: clean lines and circular, minimalist forms in white. 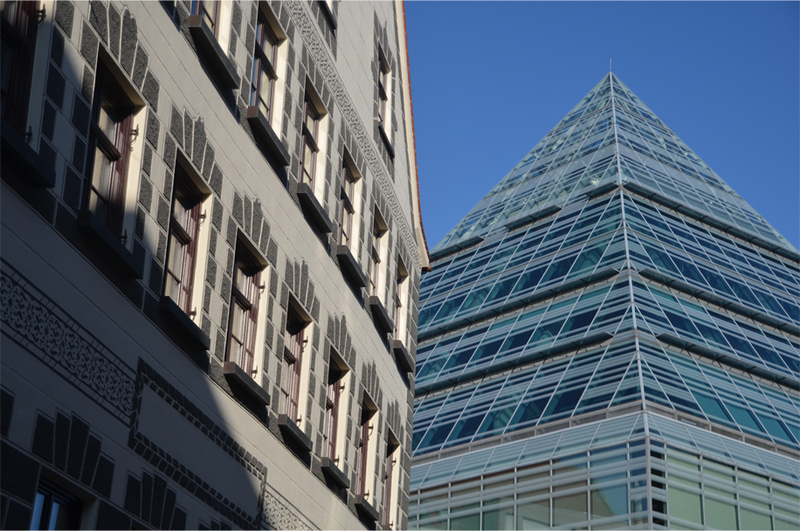 On the old market square, the glass pyramid of the public library made a dramatic counterpoint to the 16th-century murals adorning the town hall, which was painstakingly rebuilt after severe damage in World War II. Of course, I couldn’t leave the city without trying one of its savoury treats stacked behind a shop window. After the brisk climb up and down the Münster’s steeple, I settled on the regional specialty of Schwäbischer Maultaschen: giant, folded dumplings stuffed with copious amounts of meat. What a thrilling way to start your exploration of the city James! 🙂 Shiefes Haus does look like the most crooked hotel in the world, indeed. I wonder how it looks like from the inside. Must be really interesting! 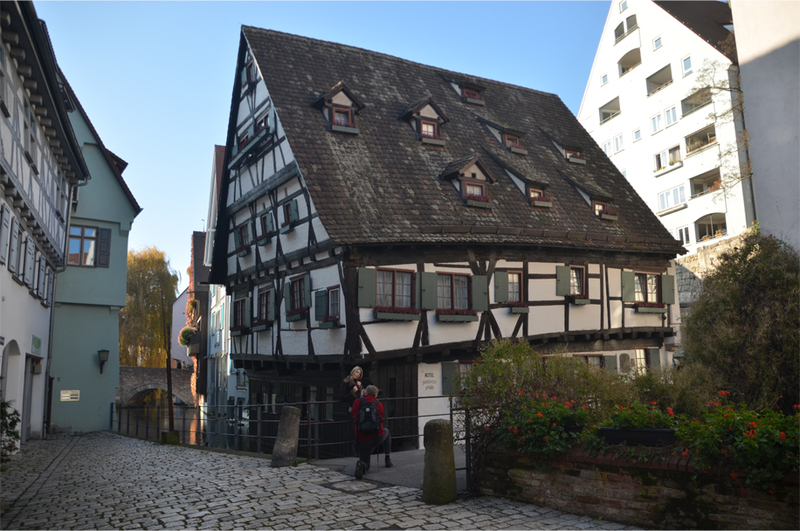 I’m glad many timbered houses still dot the city even though some had to be rebuilt after WWII. Many other cities should learn that a damaged historical building doesn’t necessarily mean that is has to be replaced by a modern one — or a shopping mall when it comes to Asian cities. You’re right Bama, Ulm may have lost much of its medieval buildings but it’s done a lot to restore and preserve those that survived. 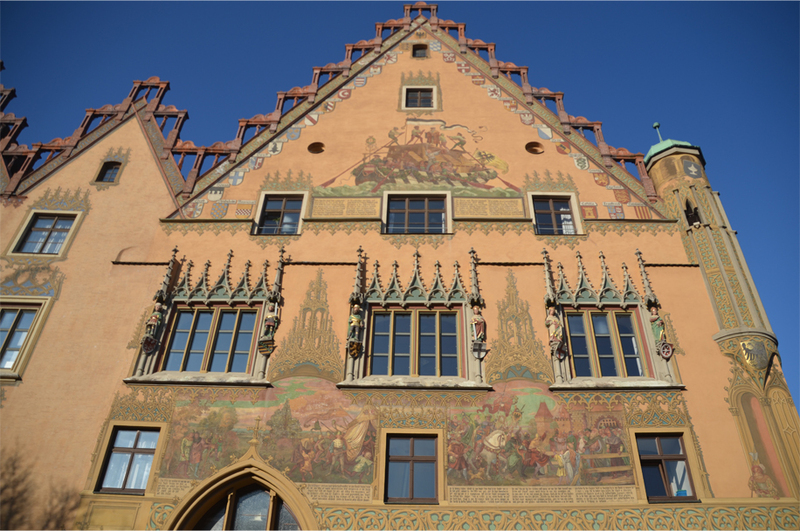 Had I stayed a night there I would probably have chosen Schiefes Haus! What a picture of serenity! 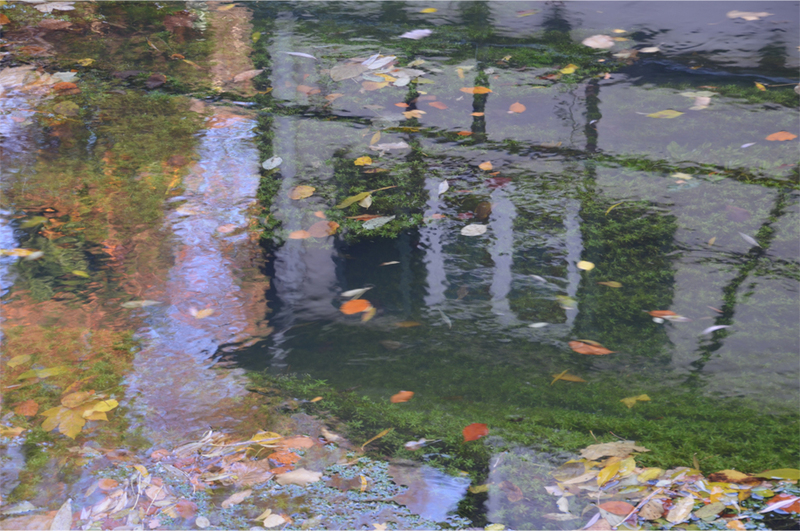 It was such a beautiful part of Ulm – the bubbling streams really added to the peaceful atmosphere. Great read, wonderful photography. Can’t wait to visit Germany one day. Thanks Nathaniel. 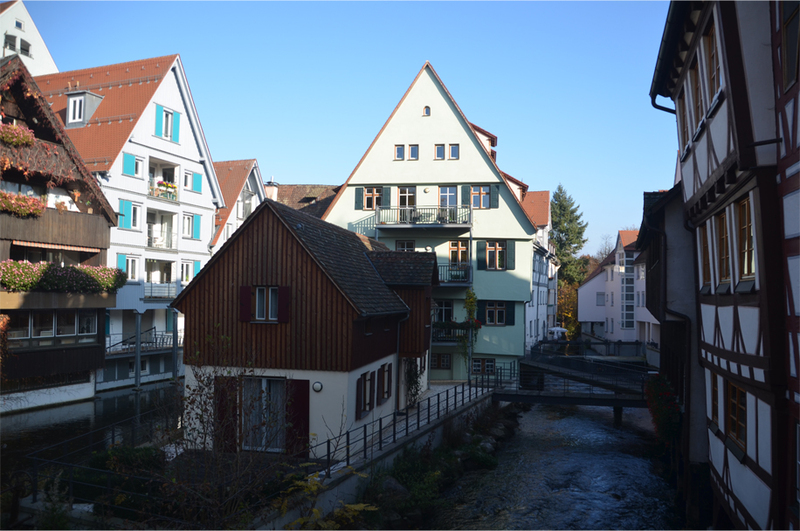 I imagine Germany has many more places like this! Surely your sister has seen one by now. Those dumplings sound abit different. I’ll have to ask dearie about that dish. It doesn’t sound like anything from his region. Oh I remember you mentioned how many storks there were on that cycle trip… sadly I didn’t get to see any this time round! The dumplings would be perfect with some sort of sauce (tomato?) on a cold wintry night. It was definitely good comfort food. James, I don’t know what else to say, but ‘Wow!’. 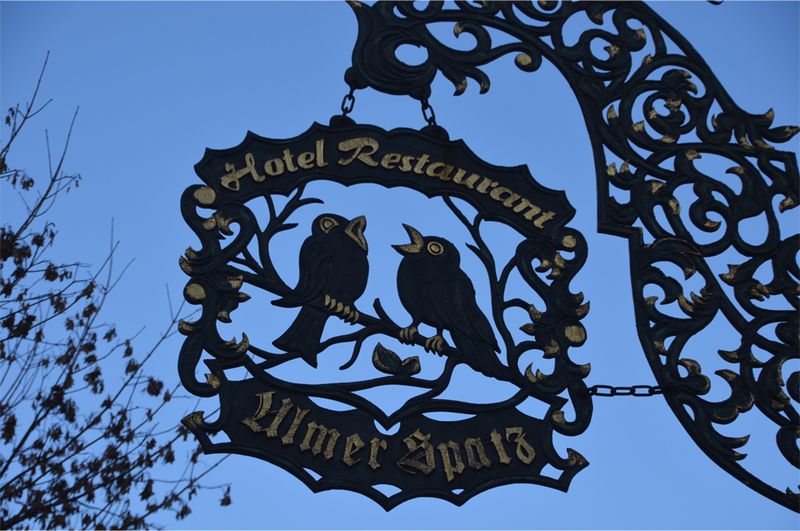 Yes – Ulm is very photogenic!